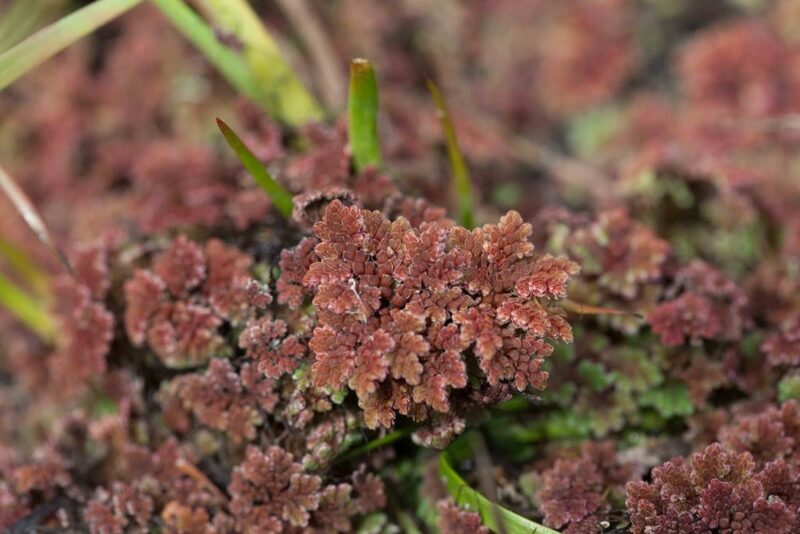 Azolla is an aquatic fern, the leaves looking somewhat fern-like on close examination but not at first sight resembling the more commonly encountered ferns. 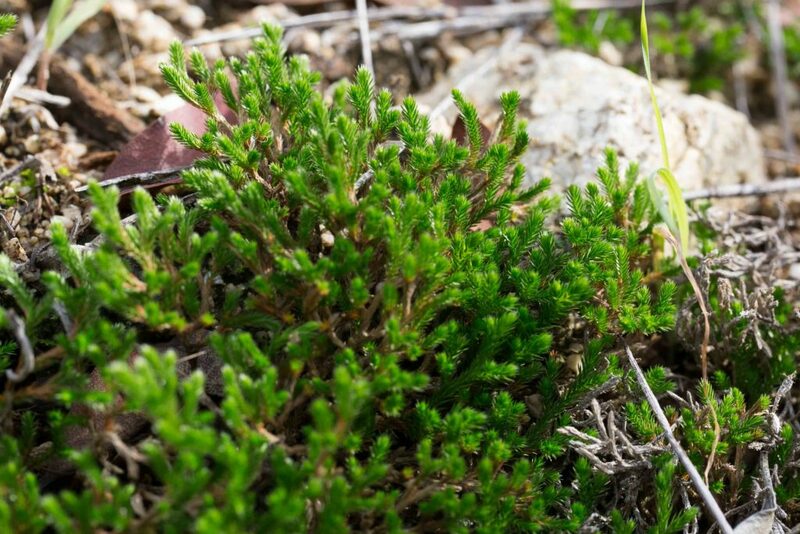 Selaginella looks more like a large and rather tough moss; it belongs to a group (the Lycophytes) sometimes known as “fern allies” which share some but not all of the characteristics of true ferns. 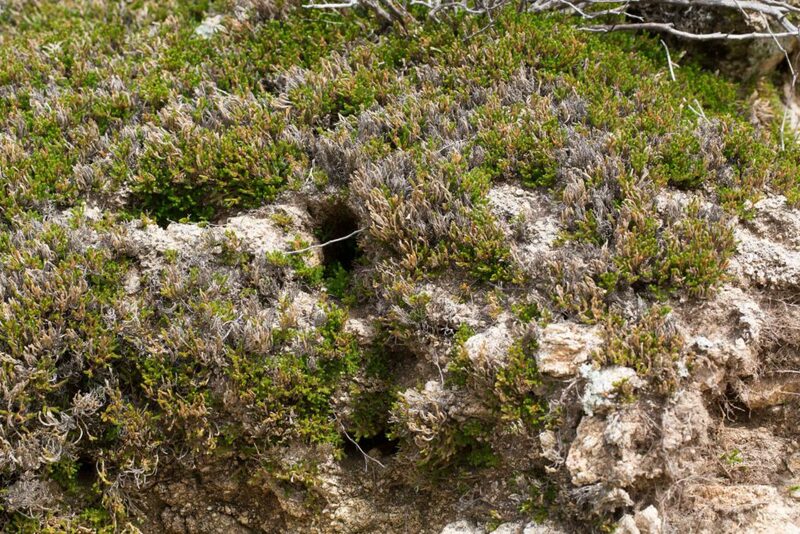 Interestingly, the largest group of Lycophytes (the Lycopodia or Club-mosses) is barely found in California at all and appears not to be present in Monterey County. 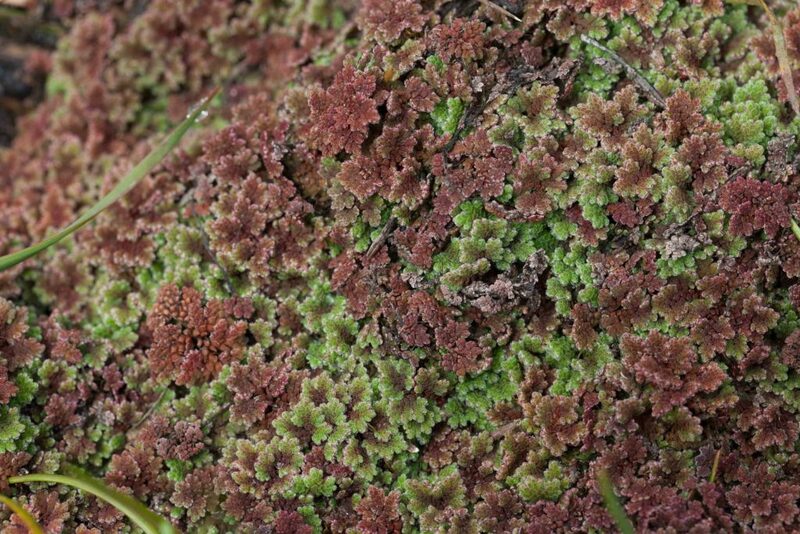 As indicated above, Azolla is a true fern despite being aquatic and bearing little resemblance to the woodland ferns. 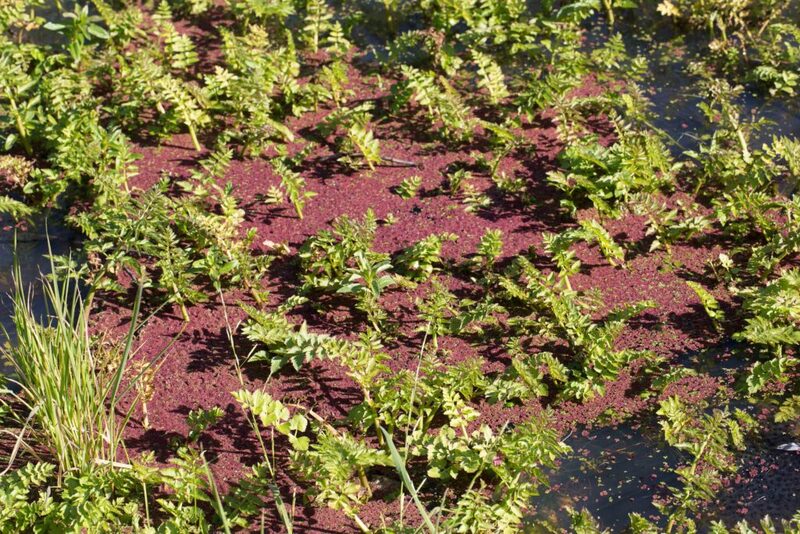 Its fronds are fern-like (the meaning of “filiculoides”), 10–25 mm comprising many tiny (1–2 mm) leaflets and it can blanket a pond in late spring, turning the entire pond red. 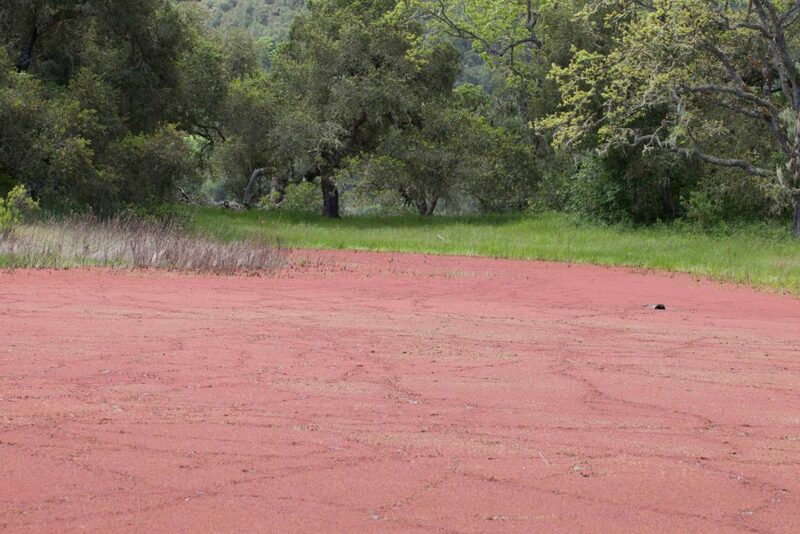 In some parts of the world, Azolla has been cultivated for its nitrogen-fixing ability so as to enhance the growth rate of crops like rice. Spike-mosses are vascular plants (unlike mosses) but appear somewhat moss-like but with wiry stems and needle-like leaves. Two species are found in the county; this is the more common one which has ascending stems which root only at their base. 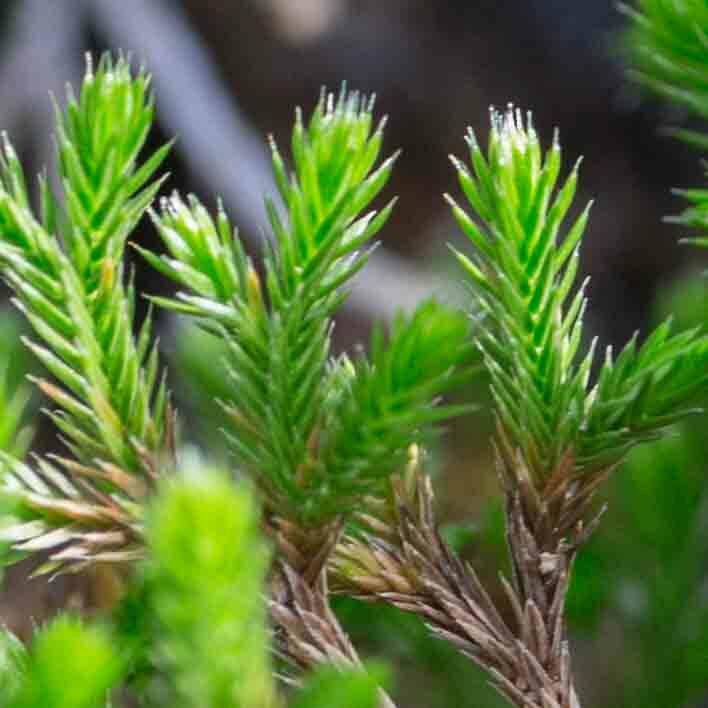 The tiny leaves have marginal hairs at their base and minute teeth towards the bristle-tipped apex. Serious magnification (> 15 ×) is needed to discern this. Spores are borne in single cones (> 15 mm), looking rather leaf-like and also requiring serious magnification to see the details. 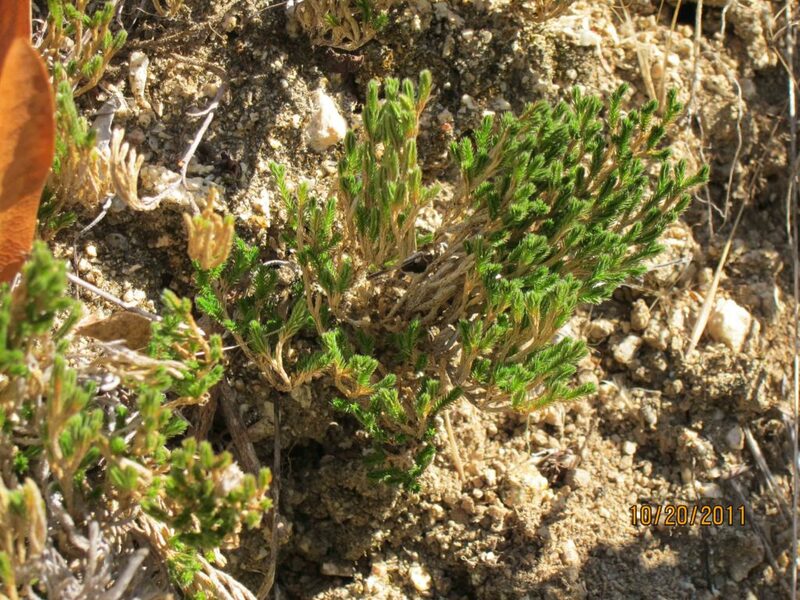 Found on dry rocky slopes or outcrops in open sites or woodland.